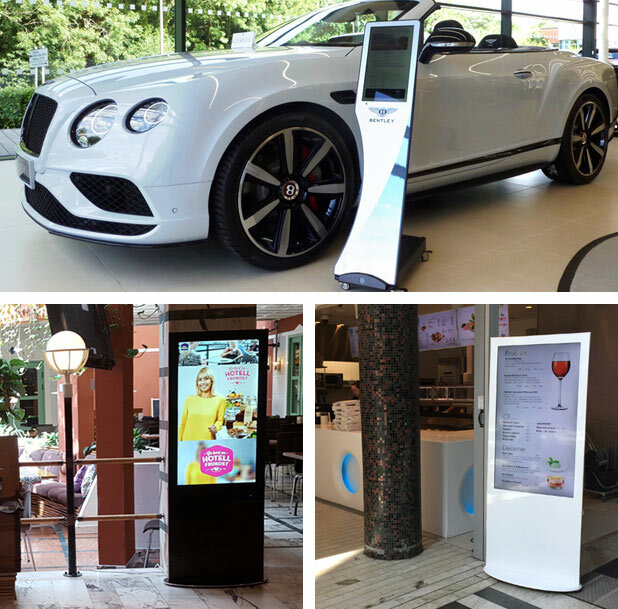 These interactive digital signage kiosks can be placed anywhere to attract customers and increase brand awareness. These kiosks will help increase sales and enhance your customer experience. Our new line of interactive kiosks are built for 24 hour a day, 7 day a week operation. With a sleek design, you can place these kiosks anywhere to attract customers and increase brand awareness.